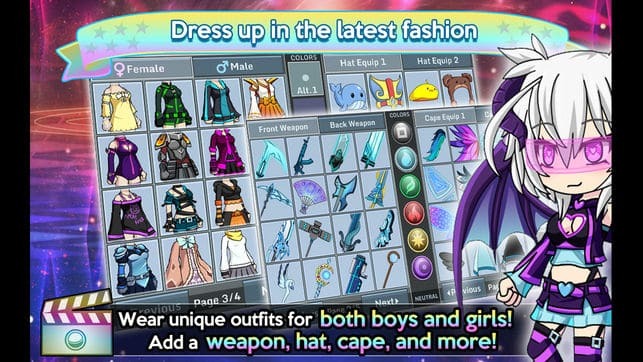 If you see yourself as a bit of a fashionista and enjoy playing fashion focused games, it’s well worth downloading Gacha Studio for PC. Gacha Studio from Lunime is a cute anime style title, which allows you to style and makeover a wide variety of adorable anime characters. So if you love putting together stylish outfits, it’s well worth experimenting with Gacha Studio. 1. Choose from over 100 different backgrounds. In order to create the perfect scene for your chosen anime characters, it’s well worth flicking through all of the fun backgrounds with Gacha Studio features. Popular examples of which include a beach, a picturesque park, and a battleground. As Gacha Studio features over 100 unique backgrounds, you’ll also be able to create a fun story to share with your friends, using a series of images, which feature different backgrounds. 2. Use studio mode in order to create your own anime comic book. If you’re interested in creating your own anime comic book, you’ll love playing around with studio mode, which will allow you to customize your characters’ poses and to create unique text bubbles for each of your characters. In order to create a gripping story. 3. Customize each of your characters with hundreds of different items. Once you choose a character, you’ll be able to customize your character by changing your character’s hairstyle, hair color, eye shape, eye color and mouth shape. So you’ll have no difficulty creating a character who looks like your doppelganger or your favorite celebrity or anime character. 4. Collect hundreds of rare pets. While dressing up your characters is the main focus of Gacha Studio, as a side plot, you’ll also be able to collect over 100 adorable pets which you’ll be able to train to fight in a battle arena. There are currently three different battle modes to select, auto mode, skill mode and element mode. 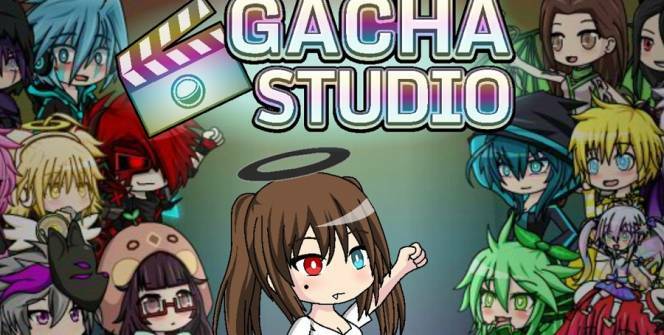 If you’re sick of downloading free games which require an internet connection to play, you’ll love the fact that you don’t require an internet to play Gacha Studio once you’ve fully downloaded it. If you have a competitive streak and want to see how you fare on an international playing field, you may be interested in seeing how high you can feature on Gacha Studio’s international leaderboard. Which is scored based on your characters’ pets performances in the battle arena and how popular your character looks are. Another feature which you’ll love is Gacha Studio’s chat feature, which will allow you to talk to your friends in real time as you design new looks and battle in the game’s arena. As an added advantage you’ll also be able to make new friends with international Gacha Studio fans. Lastly, Gacha Studio is updated on a regular basis, which means that there is never a shortage of clothing, hairstyles, pets or weapons to select. So if you love fashion and anime and like the idea of playing Gacha Studio – Anime Dress Up, it’s well worth downloading the game for free! Sometimes when playing Gacha Studio, bluestacks ask you fee to pay but gives you option to download some apps. Every time it asks you just select “Install apps” and continue using it free. I hope you enjoyed this article, please rate and share. 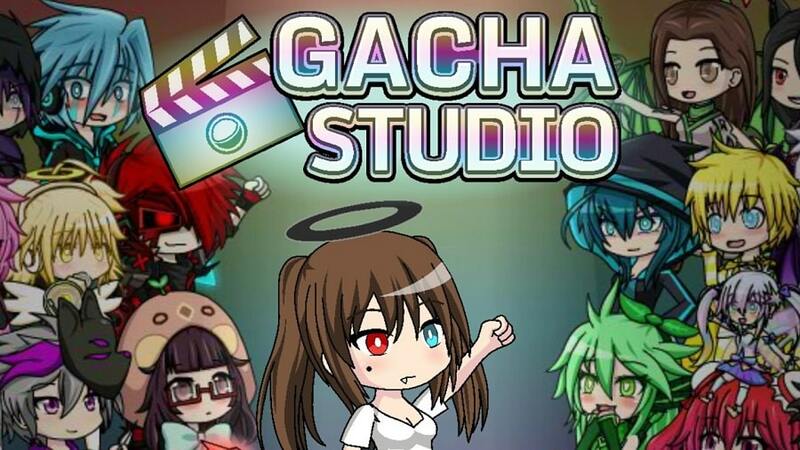 If you have problems running Gacha Studio on your desktop or any other issues, leave a comment below.